When do i stop the struggle? Treatment is needed to help combat substance use disorders. Normally I was forced into treatment, which I didn't like, and didn't do well in. The day I volunteer to go to treatment, the struggle turns into a choice. 1) you realize there's a problem. 2) you knew you had to separate yourself. That's 2/3 of my process in recovery completed. The last 1/3 is not to pick it up. Not picking it up works 100% for abstinence. I would never recommend not doing your medical treatment program. 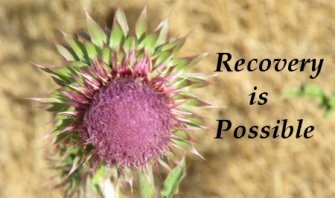 But if you find yourself constantly going back and forth take time out to see what's missing in your recovery. It will boil down to a choice of whether you'd want to use or not.